Effective drainage in highway construction is critical to minimize the effects of water damage. Controlling water that has collected at the pavement edge shoulder from migrating into the pavement subgrade is a critical design consideration. Water saturated subgrades can reduce the integrity of the pavement materials which lead to reduced pavement life, potholes, cracking pavement and potentially pavement failure. 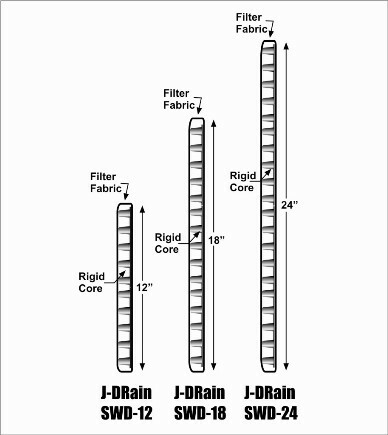 J•DRAIN drainage composites are engineered to capture water and efficiently channeling the water away from the roadway. 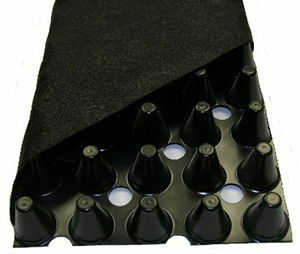 The three dimensional core creates a high compressive strength and high flow capacity drainage channel and the fused filter fabric prevents soil intrusion into the flow channel.